Come spring, our landscape is filled with green. Green trees, green bushes and foliage, green grasses. Beautiful to look at but what a challenge to paint! Learn how to interpret the green landscape, using inspirational underpainting techniques to bring out more subtle colors and hues to make a much more interesting painting. 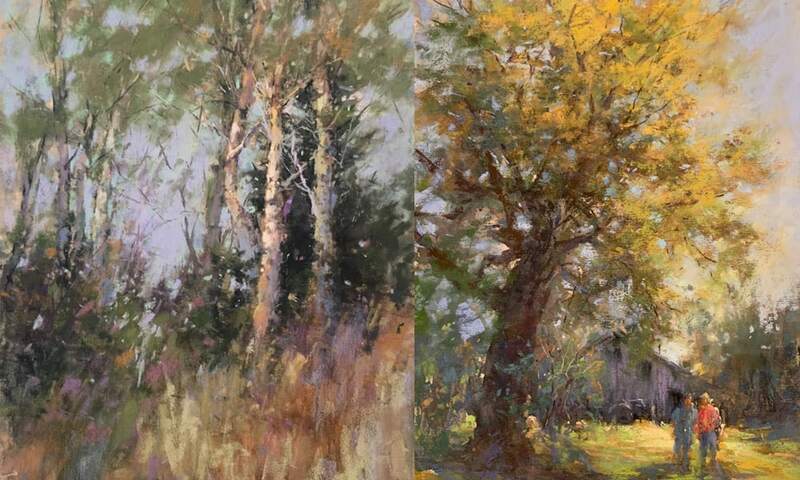 Nancy’s workshop and demos will include discussion on materials, composition, value studies, color temperatures and color harmony, importance of simplifying, massing, underpainting, and discussion on what makes a successful painting with plenty of one-on-one easel time. About the Artist: For Nancy Nowak, it’s all about creating. It’s being attuned to the inspiration that nature provides, and intuitively, patiently, and creatively, letting go and seeing where that leads. “Color and light are what inspires me. It is an ongoing endeavor to capture it artistically yet technically and to bring out the spirit of my subjects using the glorious medium of pastels”. Striving to evoke an emotional response and awareness to the everyday beauty that surrounds us, Nancy Nowak paints in the representational style with an impressionist flair.